People with computers have the luxury of constantly being able to upgrade and improve their systems. It is so easy to make sure things are as good as they can possibly be. Which means you can pick up a $249.99 Creative Labs Sound Blaster ZxR sound card to up your system’s performance and make sure things sound better than you could every possibly imagine. This high performance PCIe sound card comes with an Audio Control Module and DBPro daughter board. The Sound Blaster ZxR offers 99.99% pristine audio with a 124dB signal to noise ratio. It has a 123dB analog-to-digital converters, a 600 ohm headphone amplifier, and both RCA Aux-in and optical inputs. This all means you can output 24-bit sound at 192 kHz. Combine that with the SBX Pro Studio technologies and Sound Core3D Audio Processor, and you get to have 3D surround sound effects and CrystalVoice effects that make everything sound and run better. 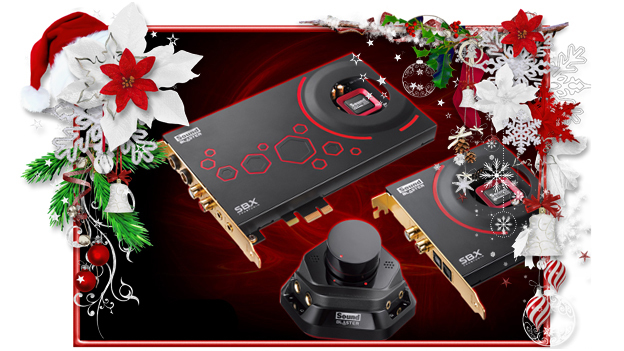 For more product details on the Creative Labs Sound Blaster ZxR, click here!